We went to a great indoor place called Run! Jump! Play!. It was so much fun -- the boys got a great work out. 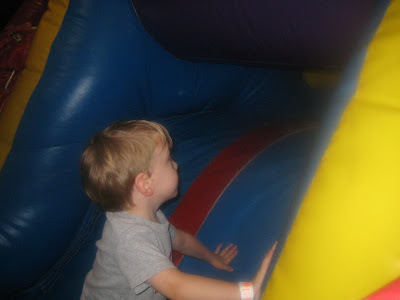 I was a little nervous because some of these inflatable slides are HIGH, but the boys didn't seem to even hesitate once. 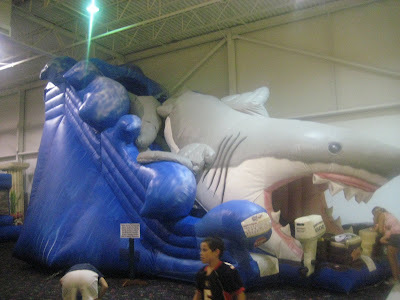 Check out this huge shark slide ... Hayden must have gone on this thing 20+ times ... in a row! 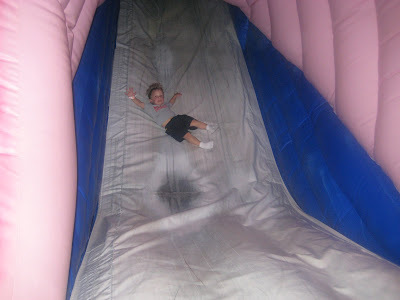 Noel loved the slides, too. 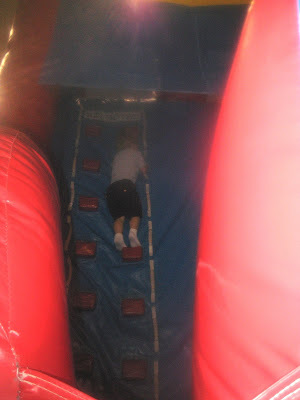 He concentrated so hard on climbing up to get to the top, and laughed and screamed the whole way down the slide! Hayden again proved to be such a brute. 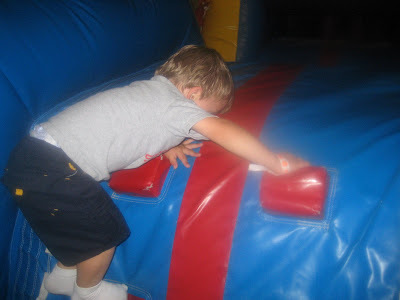 Honest to goodness, the boy will be a linebacker someday (and I pity the poor quarterback on the other team). 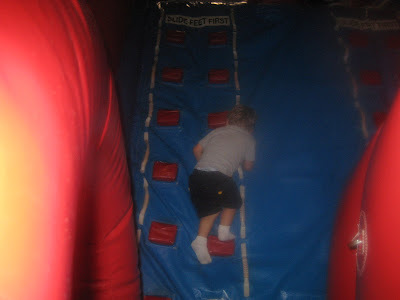 Check out his climbing up this wall that was over 25 feet high! To put it in perspective, even I struggled to get up this wall! 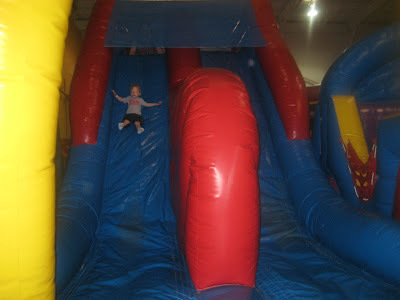 haha...I rented out one of these places for the boys first bday party! The adults had just as much fun as the kiddos!